HTC’s newest phone, the Desire EYE, arrives at AT&T stores on November 7 for $149 with a new 2-year contract, $549 at full retail, or for as little as $22.92 per month with AT&T Next. Joining the Desire EYE on November 7 is HTC’s other new product in a brand new category for the company, the RE camera. The RE will retail for $199, but AT&T customers can save $50 off their purchase if they buy the Desire EYE. As a recap, the Desire EYE is a flagship-level phone from HTC that ditches the signature metal casing found in the One (M8). It sports a Snapdragon 801 processor, 5.2-inch FHD display, 2,400mAh battery, BoomSound speakers, and includes 16GB of storage with support for 128GB micro SD cards. The real story of the Desire EYE is its camera setup, though. The Desire EYE is equipped with not one, but two 13MP cameras. You will find one on the front and back, which means you have the ultimate selfie machine in your hand with the Desire EYE. If you are really into yourself, care little about others because you are busy snapping pictures of yourself, and think people really want to watch you share pictures of yourself on the daily, this is the phone for you. Actually, it looks like a pretty solid phone, I just can’t stand company’s attempts to market selfie cameras as major selling features. Look past the selfie! Find glory. 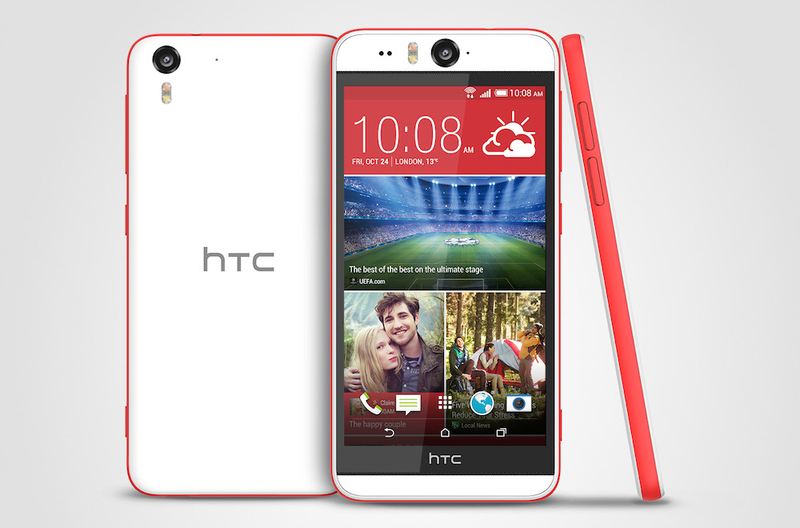 The RE is kind of like a GoPro camera, at least that’s what HTC is aiming for. It’s expensive, lacks features of the GoPro, and is the company’s first attempt at the action camera arena. It shoots 16MP stills, 1080p video, looks like a missing submarine part, and is always on. You can read more about the RE at our first write-up.